‘Contract’ means the contract between the company and the client for the sale and supply of services. ‘Customer’ means a business or consumer whose order for services is accepted by the company. 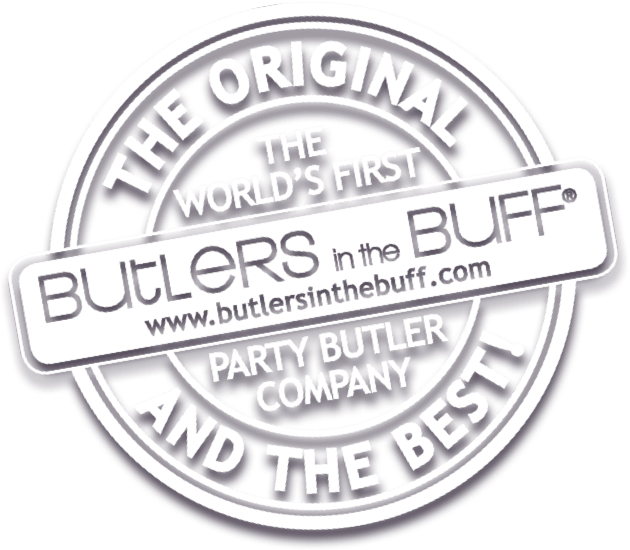 ‘Group’ means all members of any group participating in a Butlers in the Buff Weekend Package. ‘Lead Customer’ means the person who makes the booking on behalf of the group and who will be our point of contact (and any substitute for this person). ‘Arrangements’ means the accommodation, meals, activities, facilities and services (or any of them), as applicable, booked through us by you pursuant to this agreement or any other agreement between you and us. ‘Services’ means the services which the company is to supply in accordance with these terms and conditions. (i) These conditions shall govern the contract to the exclusion of any other terms and conditions between the company and the customer and no variation to the contract or these conditions (including the incorporation of the customer’s standard terms and conditions of business) shall be binding upon the company unless agreed in writing by the company and signed by an authorised representative of the company. (ii) The company’s agents. Or representatives are not authorised to make and representations concerning the service unless an authorised representative of the company confirms such representations in writing. (iii) Any typing, clerical or other error or omission in any sales literature, price list, invoice or other documentation or any information issued by the company (in whatever form and on any media) shall be subject to correction without any liability on the part of the company. (i) No order submitted by the customer shall be deemed to be accepted unless expressly confirmed (in whatever form and on whatever media) by an authorised representative of the company by means of confirmation or until the company has begun provision of the services, whichever is first in time. (ii) The customer shall be responsible for ensuring the accuracy of any order submitted by the customer including giving the company any necessary information relating to the contract and delivery (as the case may be) within sufficient time to enable the company to provide the services as requested by the customer. (iii) By booking with us, it will be assumed that you have had the opportunity to have read and understood our Terms and Conditions of Booking and to have done so before a contract between us came into existence. It is understood that the Lead Customer has the authority to deal with us on behalf of the group. If there is any change in the Lead Customer, you should inform us in writing immediately. The Lead Customer must be authorised to make the booking on the basis of these Booking Conditions by all persons in the group and their parent or guardian for all group members who are under 18 when the booking is made. We can only accept bookings if the Lead Customer is a minimum of 18 years and over. You must check all documents (including any tickets or vouchers) sent to you and inform us at once if any information detailed on the booking confirmation or any other document appears to be inaccurate or incomplete. (i) Costs quoted to you at the time of your enquiry are correct to the best of our understanding at that time. It is possible that prices may alter before any booking is actually made. We will advise you of any change in price or error of which we are aware before you book with us. We reserve the right to amend and correct errors in prices at any time before we confirm any booking. Once a booking has been confirmed by us then subject to other clauses in these booking conditions, the price will not vary. Please note that where the prices quoted to you pertain to the minimum number of people required for the event. The minimum number price must be paid for all bookings. Should the number of people included in the booking fall below the minimum, it is likely that the overall price may increase proportionately. You will be required to pay the revised price. Once a booking has been confirmed by us then, subject to other clauses in these booking conditions, the price will not change. (ii) All costs stated in the company’s literature (in whichever form and whatever media) issued by the company may be changed by the company at any time without giving notice to the customer. (iv) The customer shall be liable for any reasonable cost incurred by the company in the event of variation or suspension of any order by the customer. (v) A charge will be applied to all credit card transactions. (i) Full payment for all bookings is to be received in full by debit/credit card, cheque or bank transfer a minimum of 10 days prior to the provision of the services or at such time outside this provision as may be agreed by an authorised representative of the company. (ii) The time of payment shall be of the essence of the contract and receipts for payment shall only be issued to the customer only upon request. (iii) If the customer fails to make any payment on the due date then (without prejudice to any other rights or remedies the company may have) the company shall be entitled to cancel the contract or suspend the provision of any services to the customer. (iv) For any extra hours signed for by the client on the day of the booking the client will be invoiced at the same hourly rate that the original booking was made for. Payment for such hours will be due on the next working day after the event date. No money should be paid directly to the butler/s. By signing the Job Sheet provided by the butler the client is authorising payment on the Credit/Debit Card that was used to make the booking. (i) A deposit of 20% of the total cost of the Arrangements must be received by us before we can confirm any booking. (ii) Full payment for all weekend package bookings is to be received by debit/credit card or bank transfer at least 30 days prior to commencement of the Arrangements. (iii) Full payment for all weekend package bookings is to be received by cheque at least 40 days prior to commencement of the Arrangements. (iv) If the booking is made within 30 days of the commencement of the Arrangements, payment in full is required at the time of booking. Payments can be made using a valid credit or debit card or bank transfer. (v) The time of payment shall be of the essence of the contract and receipts for payment shall only be issued to the customer only upon request. (vi) If the customer fails to make any payment on the due date then (without prejudice to any other rights or remedies the company may have) the company shall be entitled to cancel the contract or suspend the provision of any services to the customer. (vii) For any extra hours signed for by the client on the day of the booking the client will be invoiced at a rate of $12.00 including GST per member of the group for each hour signed for. Payment for such hours will be due on the next working day after the event date. No money should be paid directly to the butler/s. By signing the Job Sheet provided by the butler the client is authorising payment on the Credit/Debit Card that was used to make the booking. (i) No booking is confirmed without the receipt of a 50% deposit. (ii) Full payment for all bookings is to be received in full by debit/credit card, or bank transfer a minimum of 14 days prior to the provision of the services or at such time outside this provision as may be agreed by an authoriseed representative of the company. (iii) The time of payment shall be of essence of the contract and receipts for payment shall only be issued to the customer only upon request. (i) Any cancelation within a two week period prior to supply for whatever reason for a confirmed booking shall result in the loss of any and all payment accepted by the company. The company reserves the right to levy the full cost of any booking. Any cancelation outside of the period stated above shall result in the loss of a $60.00 administration fee. (viii) For cancellations of package weekends made more than 31 days prior to the commencement of the weekend will result in the loss of the 20% deposit. (ix) For cancellations made within 31 days of the commencement of the weekend will result in the loss of 100% of the total booking value. (i) Cancellation of any package including but not limited to Hummer limousine hire, catamaran hire, and pampering will be subject to the Butlers in the Buff suppliers terms and conditions, please click here for a copy of these. (i) The company will not be liable in any manor whatsoever for the loss or damage to any property belonging to the customer during the provision of the services. (ii) The company shall not be held responsible in any manner whatsoever for any offence caused to any person in the provision of the services and the customer is held to understand the full nature of the services provided and exercise their full discretion in booking the services of the company. (iii) Should any employee, agent, representative or servant of the company at any time during the provision of the services feel the actions of the customer and or conditions under which the services are to be provided is such as to constitute a threat to their comfort of health and safety or well being the company reserves the right to immediately withdraw and cancel all further services to the customer and the customer will immediately forfeit all funds paid to the company. by the customer of any terms of the contract. The copyright of any work commissioned by the customer shall be retained by the company. The customer shall not without express agreement of the company use, exploit or reproduce any media in any form whatsoever obtained during the provision of services. b) War or threat of war, sabotage, insurrection, civil disturbance or requisition. c) Acts, registration, regulations, bye laws or measures of any kind on the part of any governmental, parliamentary, or local authority. (i) No waiver by the company of any breech of contract by the customer shall be construed as a waiver of any subsequent breach of the same or any other provision of these conditions. (ii) The company reserves the right to amend these conditions in respect of any promotion, offer, or the like made or issued by the company from time to time in relation to services. (iii) These conditions shall be governed by and construed in accordance with the laws of Australia. We sometimes have to make changes to and amend errors in website and other literature both before and after bookings have been confirmed and cancel confirmed bookings. Whilst we always attempt to avoid changes and cancellations, we must reserve the right to do so. Most changes are negligible. If we have to make a significant change or cancel, we will inform you as soon as possible. Whilst we always endeavour to avoid changes and cancellations, we must reserve the right to do so. Any and all changes are guaranteed to be of equal or superior quality and value. Occasionally, after your Arrangements have commenced we or our suppliers may be forced by Force Majeure to change or cancel part or all of your booking. If this does happen then we regret that we will be unable to provide any refunds (unless we receive any from our suppliers) offer any compensation or any losses or expenses you incur as a result. We will try to assist you to secure alternative arrangements but you will have to pay any associated and/or additional costs in doing so and arising out of the alternative arrangements. As you will understand, we have no control over the weather. The provision of favourable weather to allow you to take part in your chosen activities does not form part of our contractual obligations to you. There is always unfortunately the risk that you may be unable to take part in weather dependent activities due to poor weather. If this occurs, you will not be entitled to change or cancel your Arrangements without paying our normal charges. You will not be entitled to the options and/or compensation set out above. We will endeavour to find substitute activities or Arrangements but please understand that these may only be available at an additional charge to you. (1) When booking a package weekend our contract with you and the service we provide to you is to supply and book the Arrangements for you. We promise to take reasonable care in sourcing the supplier(s) who will provide your Arrangements. We have no liability for the provision of the actual Arrangements themselves or for the acts or omissions of the supplier(s) concerned or any of its employees, agents, suppliers or subcontractors. Please note it is your responsibility to show that all reasonable skill and care has not been used if you wish to make a claim against us. Please note: we do not exclude any liability for death or personal injury arising as a result of our negligence or that of our employees providing they were at the time acting within the course of their employment with us. Please note: Sub clauses (2) (6) below are all subject to and without prejudice to sub clause (1) above. (3) Please note we cannot accept responsibility for any services which do not form part of your Booking. This includes, for example, any additional services or facilities which your hotel or any other supplier agrees to provide for you that we have not booked for you and any excursion you purchase during your stay. In addition, regardless of any wording used by us on our website, in any of our quotes or elsewhere, we only promise to use all reasonable skill and care as set out above and we do not have any greater or different liability to you. (4) The promises we make to you about the booking we have agreed to source and book as part of our agreement – and the laws and regulations of the country in which your claim or complaint occurred – will be used as the basis for deciding whether the activity in question had been properly provided. If the particular Arrangements which gave rise to the claim or complaint complied with local laws and regulations applicable to those Arrangements at the time, the Arrangements will be treated as having been properly provided. This will be the case even if the Arrangements did not comply with the laws and regulations of Australia which would have applied had those Arrangements been provided in Australia. (5) We limit the maximum amount we may have to pay you for any claims you may make against us. For all claims which do not involve death or personal injury, if we are found liable to you on any basis the maximum amount we will have to pay you is twice the value of your booking (excluding insurance premiums and amendment charges). (6) Please note, we cannot accept any liability for any damage, loss, expense or other sum(s) of any description (a) which on the basis of the information given to us by you concerning your booking prior to our accepting it, we could not have foreseen you would suffer or incur if we breached our contract with you or (b) which did not result from any breach of our agreement with you or other fault by ourselves or our employees. Additionally we cannot accept liability for any business losses. We suggest that you take out adequate personal insurance for your protection. Such insurance should cover the cost of cancellation by you and/or any member of your party and the cost of assistance in the event of illness or accident. We stress that some of the activities you may book are by their nature inherently dangerous and by participating in these you acknowledge and assume the risks involved. We cannot be responsible for injury or loss suffered by you other than as expressly set out in these booking conditions. For this reason, we request that you be fully and adequately insured. Additionally, should you participate in events which do not form part of the Arrangements booked with us it should be understood that this is also at your own risk and it is your responsibility to obtain the relevant insurance. Please confirm with your Insurers that your insurance policy covers the activities you will be participating in. (a). We reserve the right to terminate your booking if your behaviour or that of any members of the group is likely in our opinion to cause distress, damage, danger or annoyance to customers, other members of the party, employees, property or anyone else. If you are prevented from travelling or participating in any activity because we or any person in authority thinks you appear to be unfit to travel or likely to cause discomfort to or disturb other participants, you will not be able to complete your Arrangements and we will not be liable for any refund, compensation or any costs you have to pay. We cannot accept liability for the behaviour of others in your accommodation or any persons taking part in any event associated and/or in the same environment which forms part of your Arrangements or if any facilities or services are removed as a result of their action. (b). You accept that when you book through us, you accept accountability for the proper conduct of yourself and other members of the party during your stay. We or the accommodation provider or other supplier reserves the right (acting reasonably) to cancel all or part of your booking in question of any member of the party due to misconduct. You are also liable to make reimbursements to the accommodation provider or other supplier for any damage caused during your visit. If you fail to do so, you will be responsible for meeting any claims subsequently made against us (together with our own and the other parties full legal costs) as a result of your actions. Some suppliers will require a deposit to be paid by you at the time of arrival in order to cover potential damage. Deposit will be refunded when you leave provided that there is no damage to the supplier’s facilities. (c). You agree to ensure that all members of the party comply with all event timetables of the events. Failure to keep to the timetables may result in either discontinuation of the event or cancellation of the said event. We will not be liable for any refund, compensation or any costs that may be incurred by you as a result. (e). Many events and activities require a high level of concentration and the use of alcohol or drugs or being under the influence of alcohol or drugs whilst taking part in such events is strictly prohibited. If you or any member of your party have, in the reasonable opinion of our suppliers, been using drink or drugs or fail to act in a safe responsible manner, they reserve the right to cancel your participation immediately. In this event we will not be liable to pay you any refund, compensation or any costs incurred by you. Some of the activities booked by you will require a good level of fitness, strength and endurance. You are responsible for ensuring that you have the appropriate level of fitness. Many events are not suggested for those with any disability, illness or infirmity. If you have an existing medical issue, allergies or disability which may affect your participation you must let us know the details of such condition prior to making a booking. If in our reasonable opinion we deem that your chosen Arrangements are not suitable for you taking into account your medical problem or disability or you are not being accompanied by someone who could provide all the assistance you may reasonably require where it is reasonable for us to require this we can refuse to accept your booking. If we find out after you have made the booking that you have an existing medical problem or disability and you are not being accompanied by someone who could provide all the assistance you may reasonably require as referred to above and you have failed to give us this information at the time of booking, we reserve the right to cancel the booking. Please note that some of the Arrangements we feature are inherently dangerous and by booking these Arrangements you accept the inherent risks please also see clause 11. Any complaints as to the service provided should be communicated within 7 days in writing if your complaint or claim does not involve death or personal injury or illness or within 3 months of returning from your holiday if your complaint or claim involves death, personal injury or illness. The company and any such complaint will be responded to within 5 working days of receipt within the period stated above. In the highly improbable event that you have to pay for any element of a weekend package booked through us where you had already paid us for this activity then you must obtain a receipt and provide us with this receipt in order for us to reimburse any expense incurred by you. Many of the activities which make up your booking are provided by independent suppliers. Those suppliers offer these services in accordance with their own terms and conditions. In some instances these terms and conditions may limit or exclude the supplier’s liability to you. Copies of the relevant terms and conditions are available on request. You acknowledge and agree that the Package Travel, Package Holidays and Package Tours Regulations 1992 (the Regulations) do not apply to your agreement with us or to the Arrangements and that we have no liability under the Regulations. We both hereby exclude any rights that any other party may have in relation to this Agreement under the Contract (Rights of Third Parties) Act 1999. This Agreement and all matters arising out of it shall be construed and governed according to Australian law and shall be subject to the exclusive jurisdiction of the Courts of Australia.